Spiritual Whispers to the Soul is my first collection of poetry published by my newly created self-publishing company, Colorful Spirit Publishing. This book has been in the works for quite some time now, and it reflects the very essence of my heart and soul. Just like so many people, I have endured some of the hardest times in my life and could not understand why God would allow me to struggle so much. Even though God has blessed me with a wonderful family, good friends, and abundance in terms of work and other opportunities, my path has not always been an easy one. As I look back over the history of writing these poems, I was inspired to write about so many different experiences God wanted me to go through. In fact, it has been through my struggles and the writing of these poems, that I have grown closer to God and become an even stronger spiritual soul. 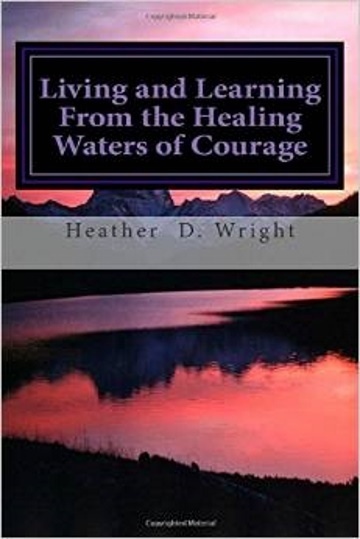 It is my hope that, as you read my poetry collection, that you will find the spiritual strength you have been seeking to face hard times and to know that you are not alone. 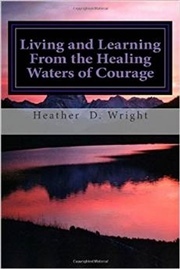 I promise you that there is a poem in this collection that covers so many aspects of human suffering, and yet through God's guidance, He helped me to discover through my own life lessons, how to convey my own spiritual truths to all of you as well as the valuable lessons I have learned along the way. As you read Spiritual Whispers to the Soul, I truly do have faith that you will hear spiritual wisdom echoed through practical experiences as well as feel encouraged knowing that you are not alone in your struggles. 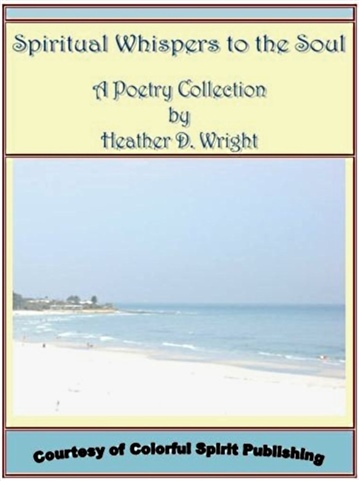 My prayer is that these poems offer much faith, hope, love, inspiration, encouragement, and healing to your own soul that is in need for guidance. I also hope these poems help you embrace your own destiny and learn valuable truths on your own journey in life. Enjoy, my friends, and keep the faith. These spiritual whispers echoed in the art of poetry I have come to love so much is for you.